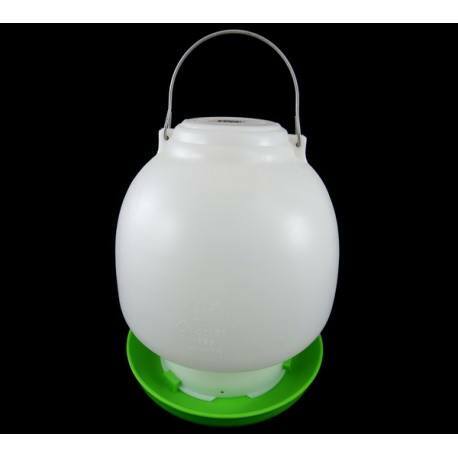 Ball waterers are suited to most birds, especially for chickens and ducks. Its gravity forced design and small drinking area make a clean & hygienic way of providing water to birds. The 600 mL and 1.3 Litre size are suited to very young poultry 0 to 5 weeks old. After that, they will need a larger size. The 2.5L and larger are suitable for adult chickens. 12 Litre (ITEM No 111) - 28.5W x 34 H (CM) Trough Height - ? NOTE - Stock availability can vary. 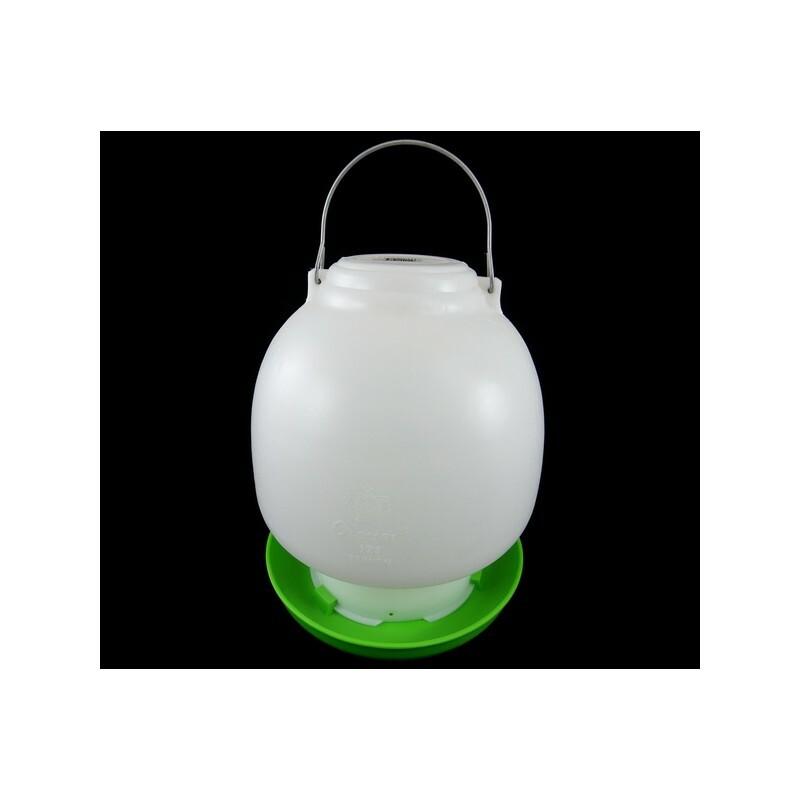 If your size is out of stock please try the other poultry waterer product.